Almost 70 condo units with on-premise amenities, with an easy entrance from the main parking area of the Mountain House base area of Keystone. It's just a short, wide stairway to main lodge and skiing. 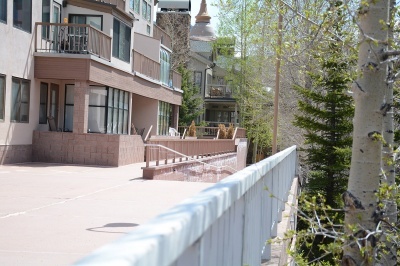 These condos are on the resort shuttle, have ski lockers and an outdoor hot tub on the community deck located above Mountain House with nice views to the ski slopes and to the west.